Create a chic work look with this Paige Smith Roundneck Basic Longsleeve Rib Top. 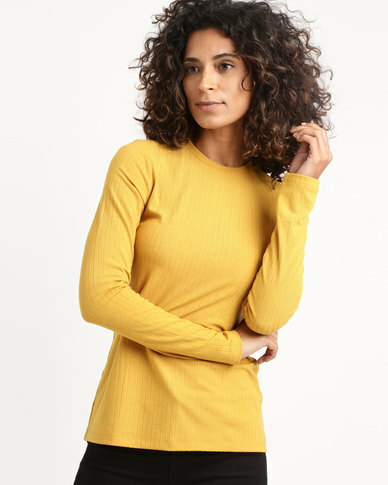 In a trendy mustard hue that is sure to grab everyone's attention, this top is a lightweight option with long sleeves and a slightly loose cut. Tuck this top into a pair of flared trousers and finish off your look with heels.